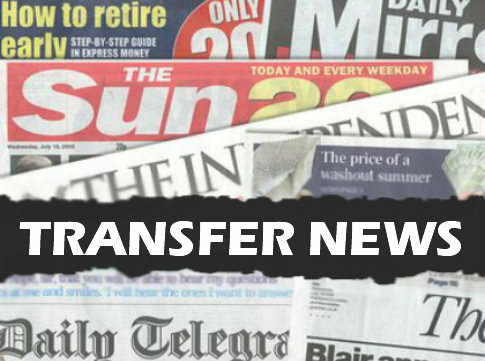 Although the summer transfer window is officially closed that doesn’t stop clubs working hard behind the scenes to prepare for future signings, so we’ll keep you up-to-date with all the latest gossip. Today, Arsenal and Liverpool are linked with Javier Pastore. Arsenal and Liverpool are plotting a January move for unsettled Paris Saint Germain playmaker Javier Pastore but face competition from Italian side Roma, according to the Daily Star. The 24-year-old enjoyed an excellent two seasons in Ligue 1 after joining PSG from Palermo in 2011 but has found first team football harder to come by this campaign under new boss Laurent Blanc, and has made just six starts so far this season. The Star claim Pastore is looking for a move in January in order to secure regular first-team football to boost his chances of making the Argentina squad for next summers World Cup, and it appears both Arsene Wenger and Brendan Rodgers are ready to offer it to him. The newspaper suggests that the Gunners tried to sign the playmaker during the closing stages of the summer transfer window and are expected to renew their interest this winter, while Liverpool are also understood to have identified the Argentine as a potential new recruit with Rodgers hoping to build on whats been a positive start to the season. However, the Premier League duo will face stiff competition for Pastore’s signature with the report stating that Serie A leaders Roma are also in the hunt and are lining-up a six-month loan deal to try and lure him to Italy. Pastore has bagged 24 goals in 90 games since moving to the Parc des Princes but with a lack of first team football hampering his progress it seems he could be on the way out in January with Arsenal and Liverpool among those hoping to offer him an escape route. Are you a fan of Pastore? Would you like your team to sign him? Share your thoughts below. i agree with our club,its agud idea to get aplay maker like that one, so when pastoris joins suarez it wil be very great for Lfc.